Don’t be fooled by laser. Electrolysis is the only form of hair removal backed by the US Food and Drug Administration (FDA) as being a permanent solution. Although laser hair removal has become popular over the years, it is not permanent solution and also not suited for people with dark skin tones or light hair colors. Electrolysis works by inserting an epilator device into the skin, sending the hair follicles shortwave radio frequencies to prevent new hair growth while causing existing hairs to fall out. The number of treatments vary on the client's’ past history of hair removal and hormones. For instance, some of our with PolyCystic Ovarian Syndrome (PCOS) have needed more treatments due to the excess hair growth caused by a hormonal imbalance. We have been very excited to see the difference our permanent hair removal solutions have made on these women who have suffered with unwanted hair for most of their lives. 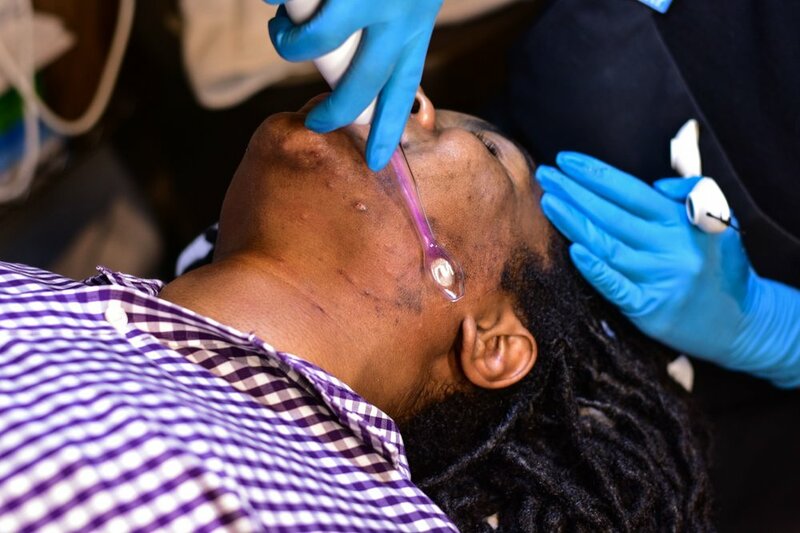 One of the major benefits of electrolysis is that its ability to be effective for all hair and skin types. Whether you are an individual with a darker skin tone or an elderly individual with gray hair hairs and a light skin tone, unlike laser. We have also had success treating members of the transgender community and look forward to helping those along their transition. 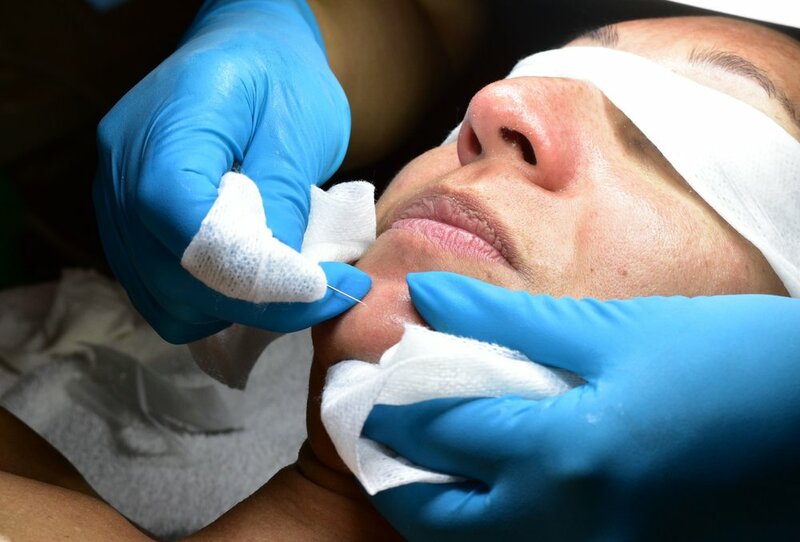 Our exotic facials, peels, and skin repair services use top of the line quality ingredients and technologies to ensure maximum effectiveness of clearing and cleansing the skin. 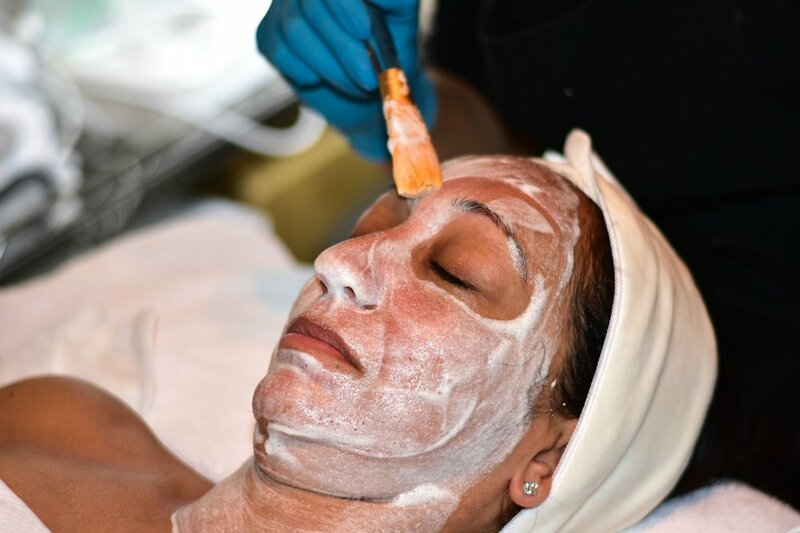 Our tantalizing facials will rid your skin of oil, dirt, and impurities while refreshing your senses with our extensive variety of luxurious ingredients. Bring new life to your skin today! Using technology developed by NASA (yes, you read that right) allow lightwaves to tighten and tone your skin. This technology yields fast results and you sure won't find at your average salon! The following is placeholder text known as “lorem aptent taciti sociosqu ad litora torquent per conubia nostra, per inceptos himenaeos. Aenean eu justo sed elit dignissim aliquam. Gentle hard wax to remove unwanted body and/ or facial hair.